On June 16, Concentric AB was listed as an independent company on the Stockholm stock exchange for the first time following the break-up of Haldex, the listed Swedish engineering group, which Concentric joined in April 2008. The new company has been formed from the former hydraulics division of the Haldex group which embraced both Concentric's oil, water and fuel pumps for diesel engines and the hydraulics manufacturing business with which it had been integrated. This integration process, led by the Concentric management team, proved highly successful, and the shareholders decided that the business would best be able to grow and serve its expanding customer base as an independent company. The combined business is now the global leader in energy-efficient pumps and oil separators for diesel engines. 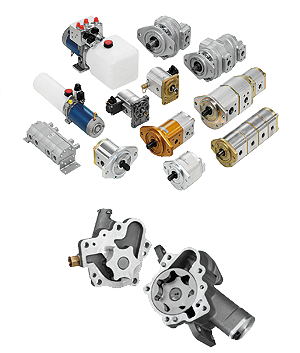 In addition to diesel engine pumps, Concentric AB manufactures hydraulic motors, pumps and power packs under the Haldex brand name on a global basis in the UK, USA, Sweden, Germany, India and China. Although Swedish-listed, the company will continue to operate from its headquarters in Alvechurch near Birmingham and will be run by the original management team under the leadership of David Woolley, President and CEO. Ian Dugan, the outgoing CEO, who has led Concentric since 2002 and guided it through the demerger process, will leave the company at the end of July to join the private equity group Bridgepoint Capital Ltd. In his new role at Bridgepoint, Ian will provide advice on the acquisition and support of industrial companies within the portfolio. The demerger is highly positive for both parts of Concentric AB. Although they have only recently come together, both the diesel engine pumps and the hydraulics range represent a long tradition of engineering excellence. Concentric has built its position as the leading global supplier of oil, fuel and water pumps for medium and heavy diesel engines over more than six decades, whilst the hydraulics products embody the contribution of major predecessors - Barnes Vickers and Haldex - with a history that goes back as far as 1929. The Concentric range is best known for reliable, innovative solutions in oil, coolant and fuel pumps for medium and heavy-duty diesel engines. In recent years, Concentric variable flow oil and coolant pumps have initiated a technological revolution enabling engine manufacturers to reduce parasitic losses dramatically, improve fuel economy and meet ever more rigorous emission standards. The increased performance and torque capacity of modern engines means that water and oil pumps are of critical importance to their life expectancy. Haldex branded hydraulic pumps, motors, power packs and flow dividers are specified by leading OEMs for a wide range of applications including lift trucks, aerial work platforms, agricultural equipment, transmissions, mining, construction and road-building machinery. Applications include cooling fans, axle cooling systems, rotary drives for agricultural equipment electro-hydraulic lifts, transmission clutch actuation, lubrication auxiliary brake and steering systems.